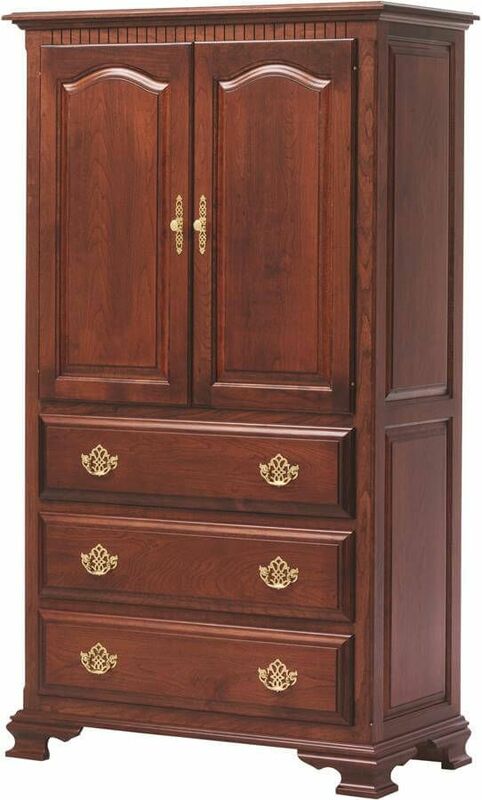 Though pictured in our Christmas Cloves finish on Cherry, the Elizabeth's Tradition Bedroom Armoire is available in any offered wood and stain. 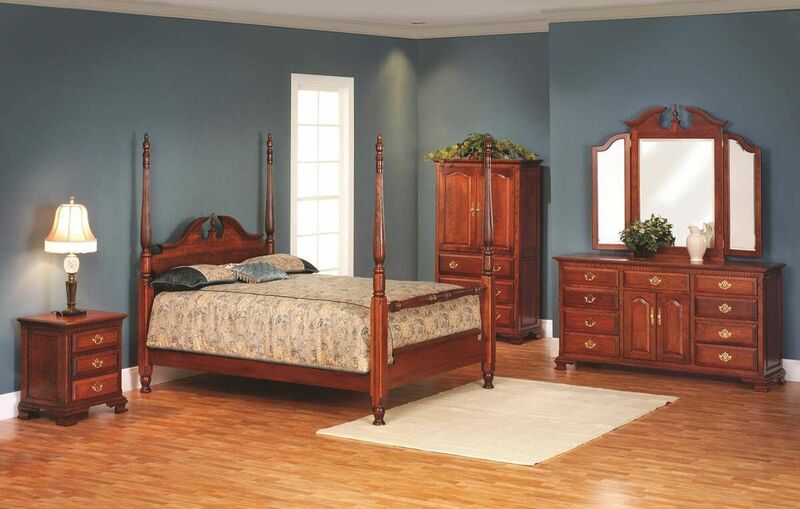 Full extension, soft close slides ensure the drawers of your Elizabeth's Tradition Armoire extend fully and close quietly. 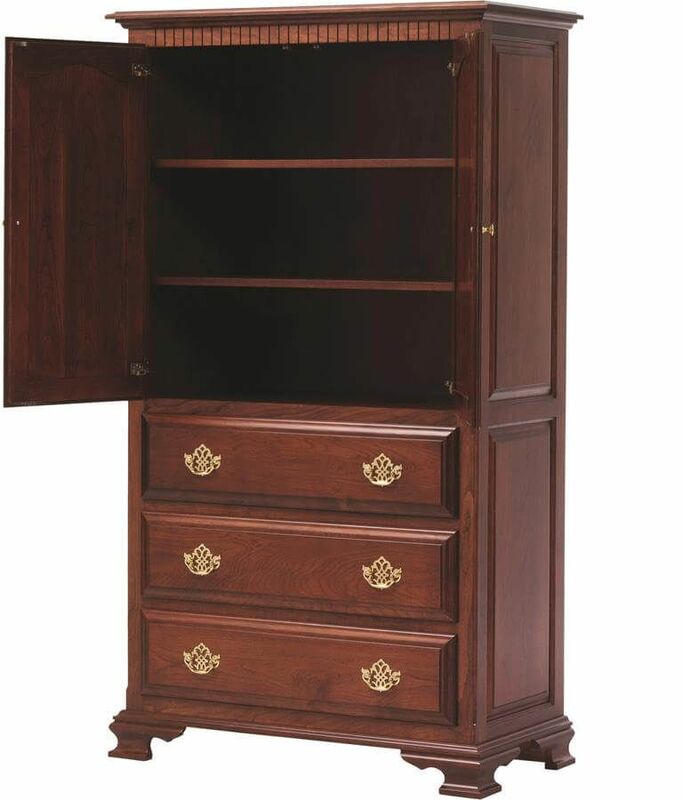 For durability and integrity of your armoire drawers, each is assembled using time-tested dovetailed joinery. Options for either armoire or entertainment center should be selected when ordering. Notice that the pocket doors will reduce the opening from the standard width by 3 inches. Adding the TV swivel or media compartment will also change the dimensions of the standard opening. Make your wood and finish selections for the Elizabeth's Tradition Armoire using the options menu.